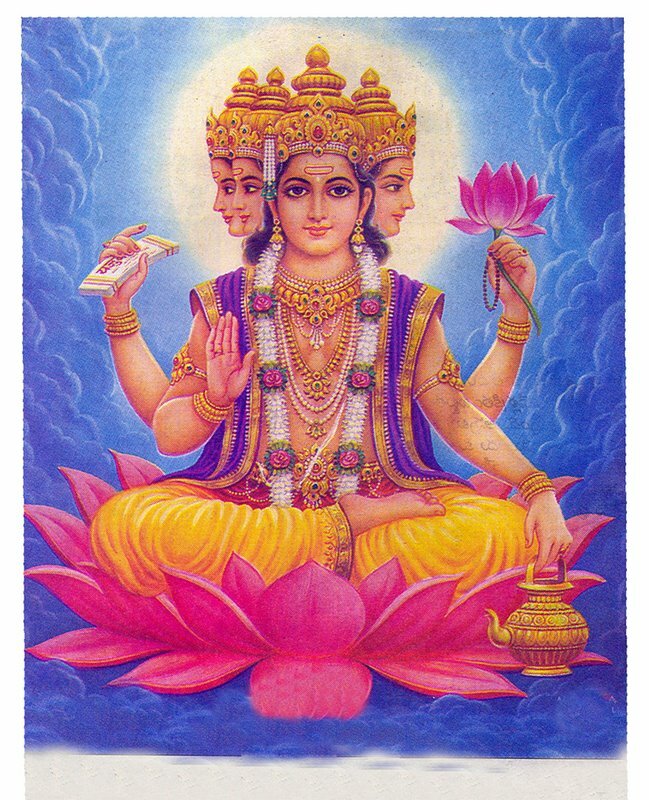 Brahma (Sanskrit masculine brahman-, nominative brahmā ब्रह्मा, personification of the neuter brahman-) is the Hindu god (deva, Malay: Berahma, Thai:) of creation and one of the Trimurti, the others being Vishnu and Shiva. He is not to be confused with the Supreme Cosmic Spirit in Hindu Vedanta philosophy known as Brahman. Also, in Sanskrit grammar, Brahma is nominative singular of generic word Brahman, as Aatma is nominative singular for Aatman. Brahman and Aatman are identified in Vedanta philosophy, the Param-Aatma (Supersoul) and Jeeva Aatma (Individual Soul) are Brahman. Brahmā's consort is Saraswati, the goddess of learning. Brahmā is often identified with Prajapati, a Vedic deity. This page was last modified on 5 August 2008, at 17:19.